Latest Project ALJ CDC - Martex S.p.A. 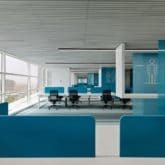 The interior architecture and space planning for the new Abdul Latif Jameel Investments office in Jeddah follows the company’s branding guidelines. 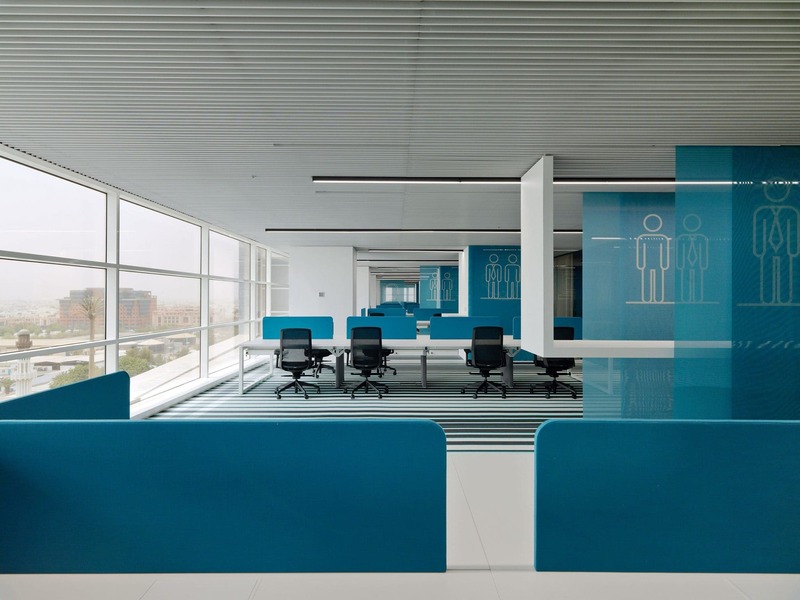 The employee areas enhance company brand values with a design that emphasizes transparency and environmental quality. The office concept consists of three main components: “the welcome area,” “the village,” and “the open workspace”. 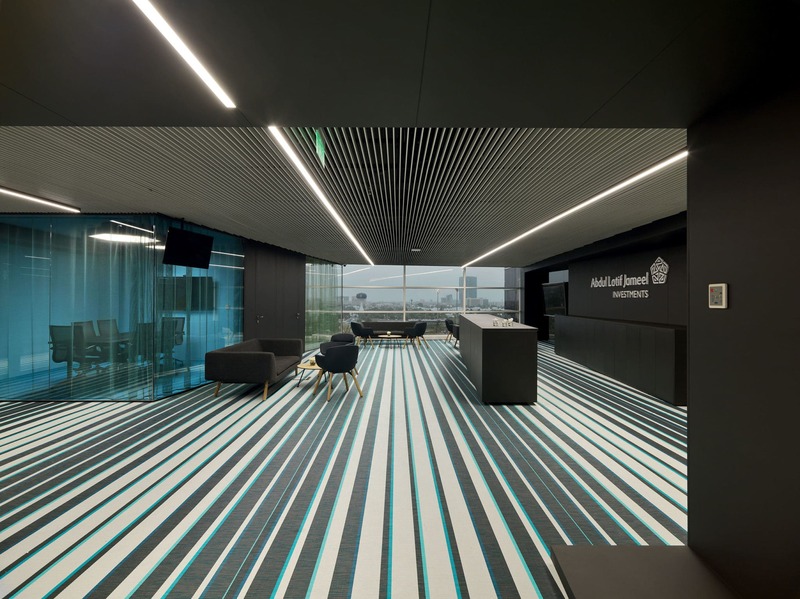 The welcome area features a customized display with corporate graphics about the history of the company and offers a reception area, waiting lounge, and a client meeting room. The village is located in the center of the space while all workstations face windows. 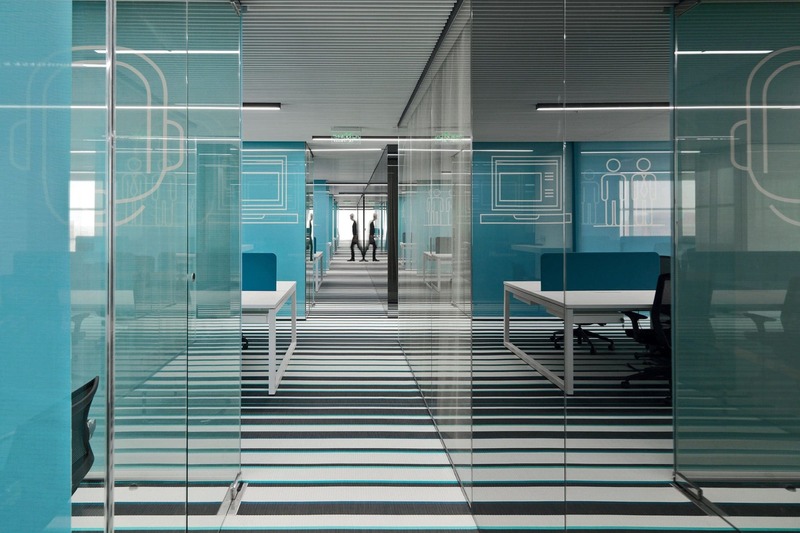 It is the infrastructural backbone of the office and the area that sees the most movement. 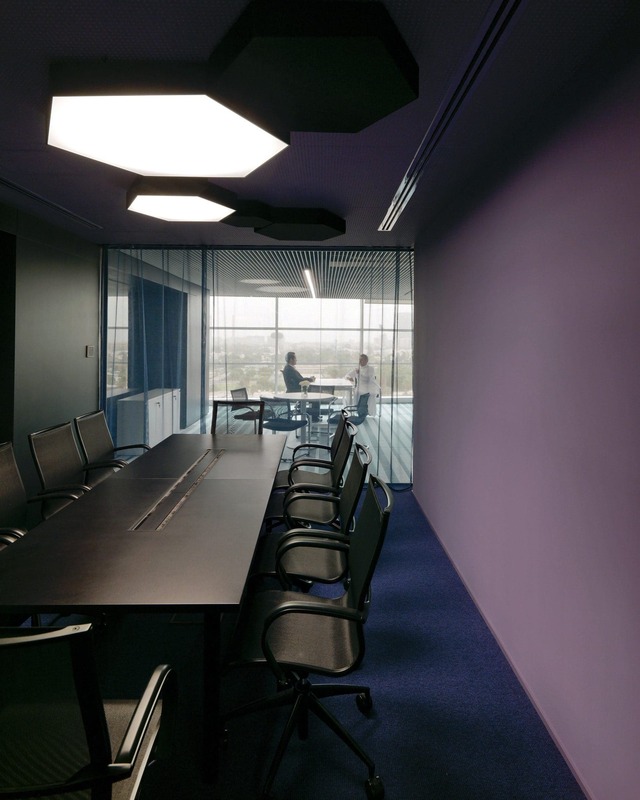 A variety of single, colored glass cubes creates a village-like structure that enables and enhances communication and interaction, while simultaneously zoning off private areas. The village hosts meeting rooms, prayer rooms, a cafeteria, a playground and other service facilities. 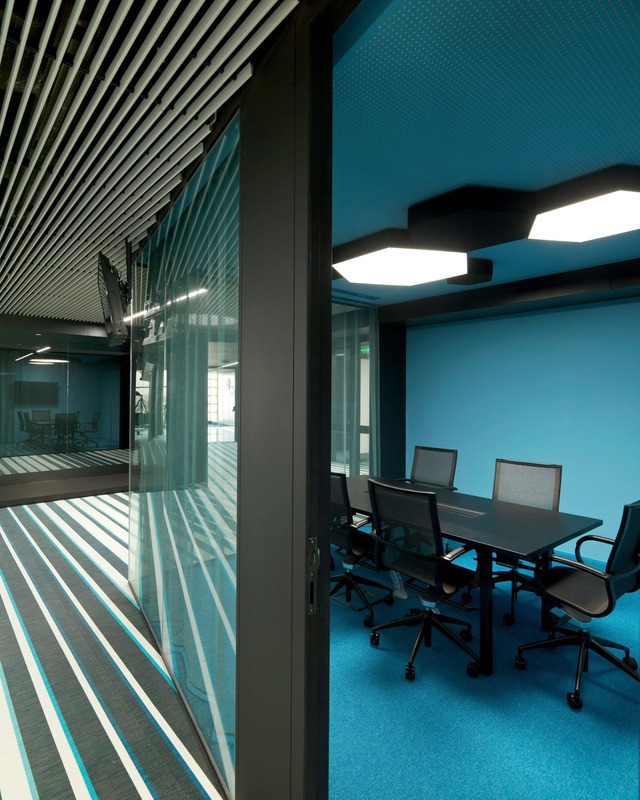 The open workspace is located on both sides of the windows and is structured with private enclaves that break up the open space and offer people versatile areas to use as a phone booth, media kiosk, retreat or informal meeting zone. Infographics printed on movable screens indicate the different functions of the enclaves and allow for privacy.